IBM® Cloud is a platform that helps developers build and run modern apps and services. It provides developers with instant access to the compute and services they need to launch quickly, iterate continuously and scale with success. 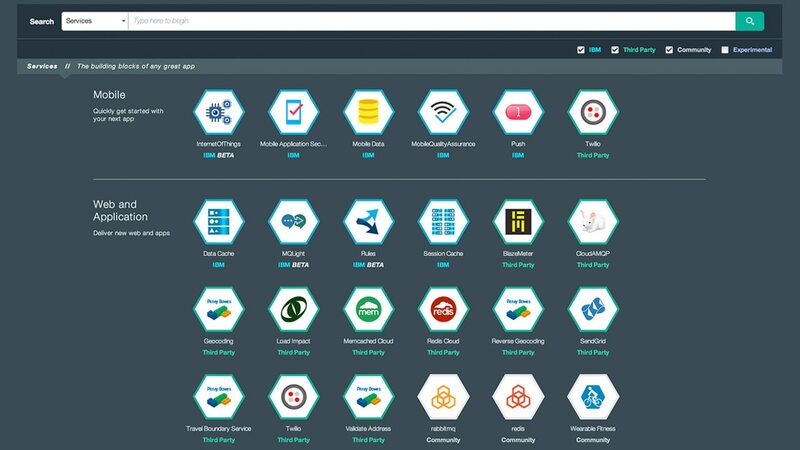 With services across mobile, IoT, IBM Watson® and more, IBM Cloud is an ideal platform to power the next wave of apps that thrive on data. Use powerful, open source technologies across runtimes, containers and virtual machines to power your apps and services. Transform your raw data into relevant information to prepare it for consumption and use in production applications. IBM Cloud is delivered as a single, consistent platform across public, dedicated and on-premises cloud. Start anywhere and expand easily as your strategy evolves over time.